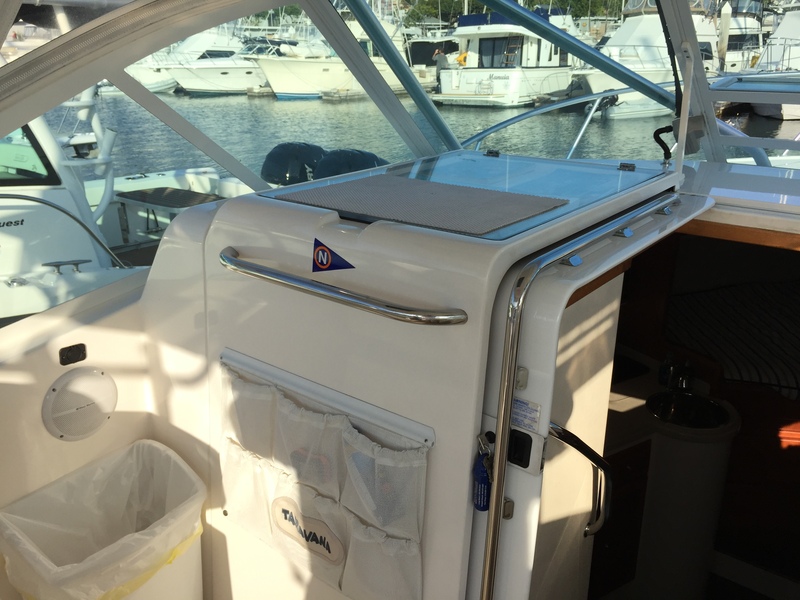 With easy access through a stern doorway to the rear deck, you immediately see the beauty of the design and the quality of everything that surrounds you! 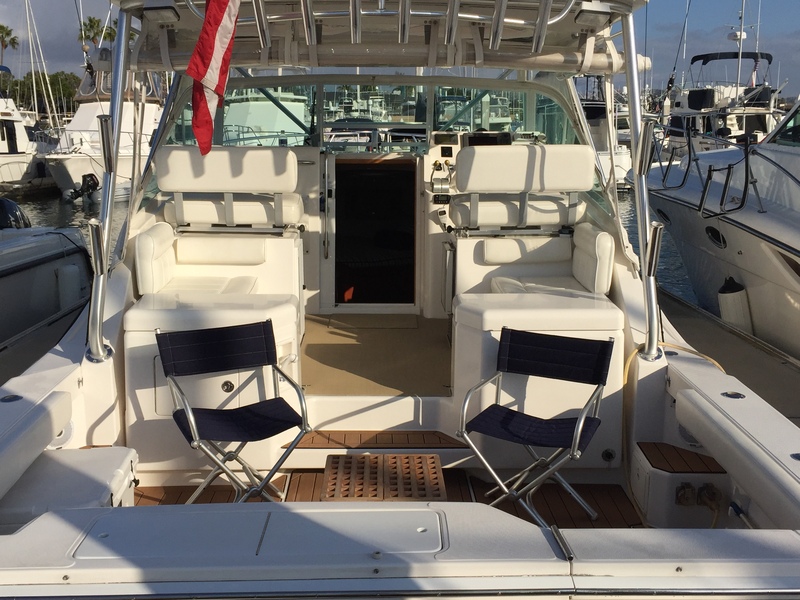 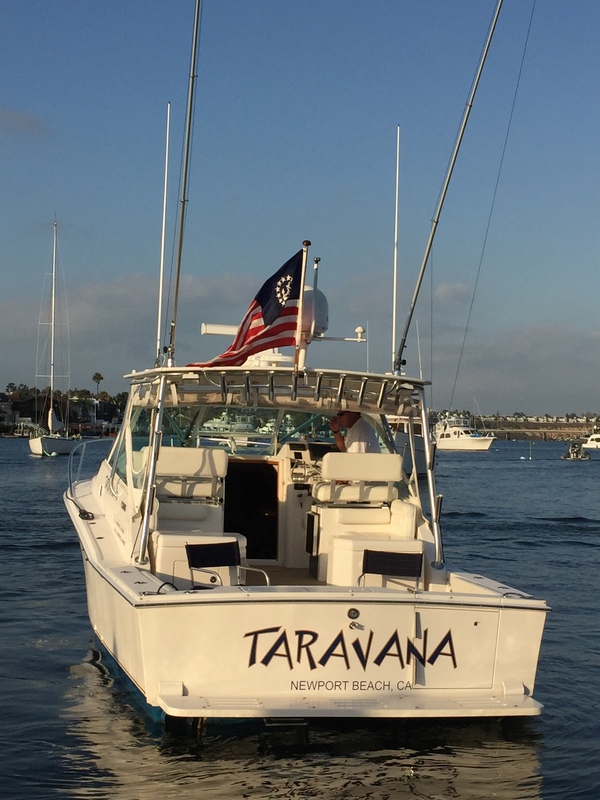 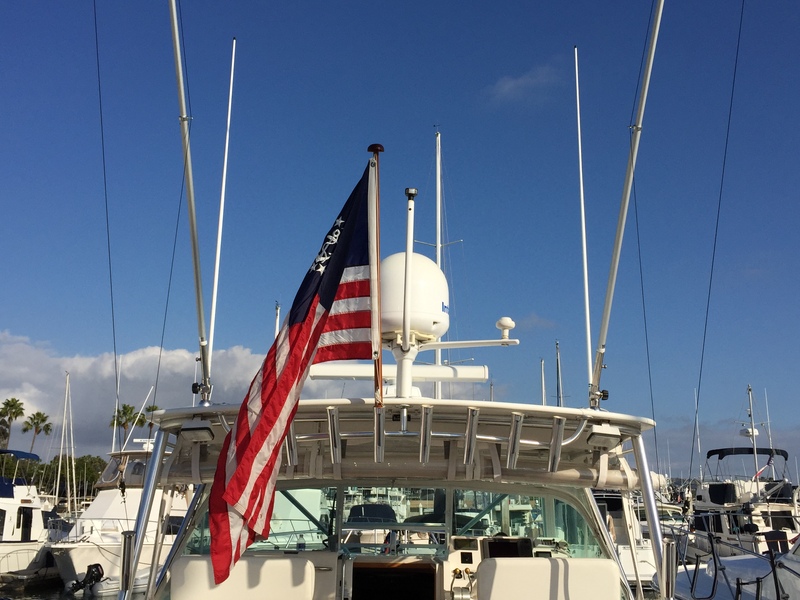 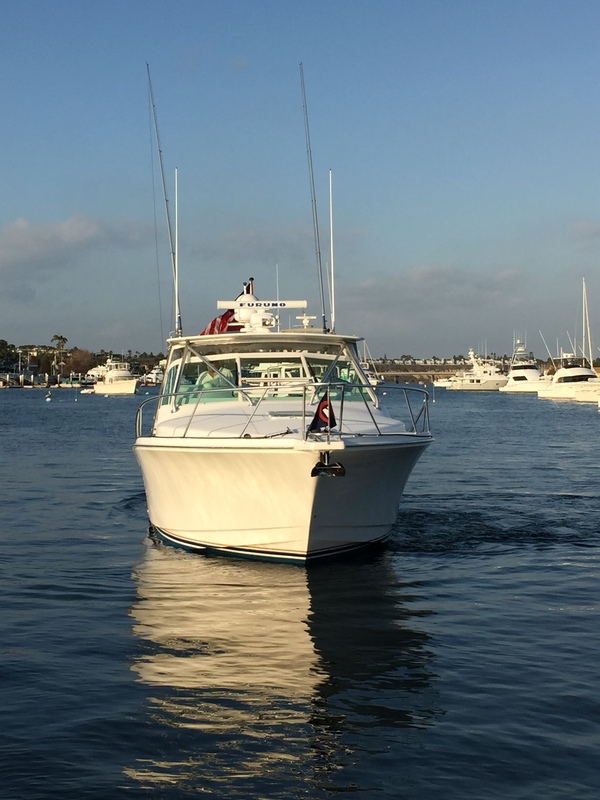 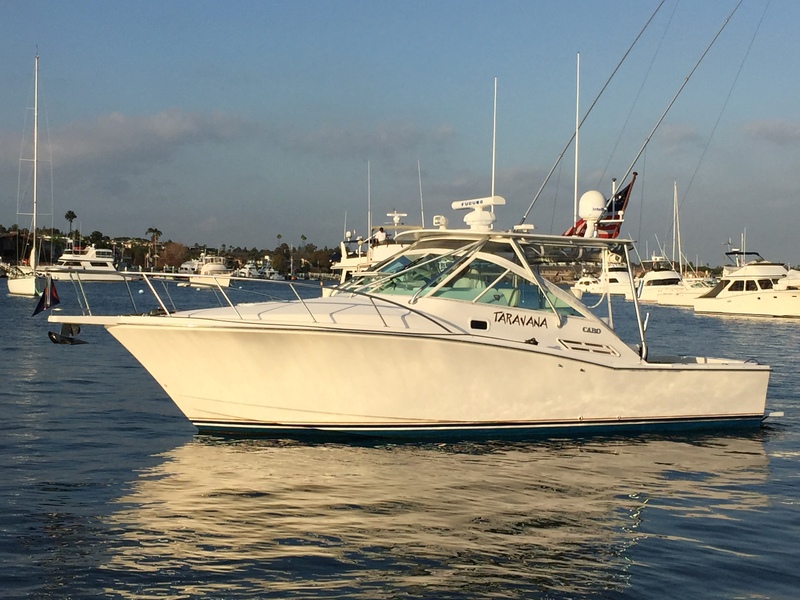 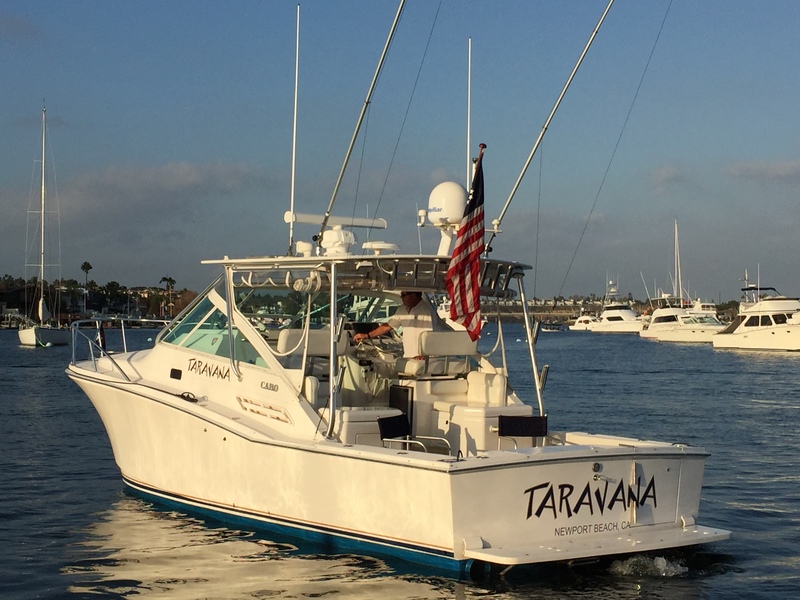 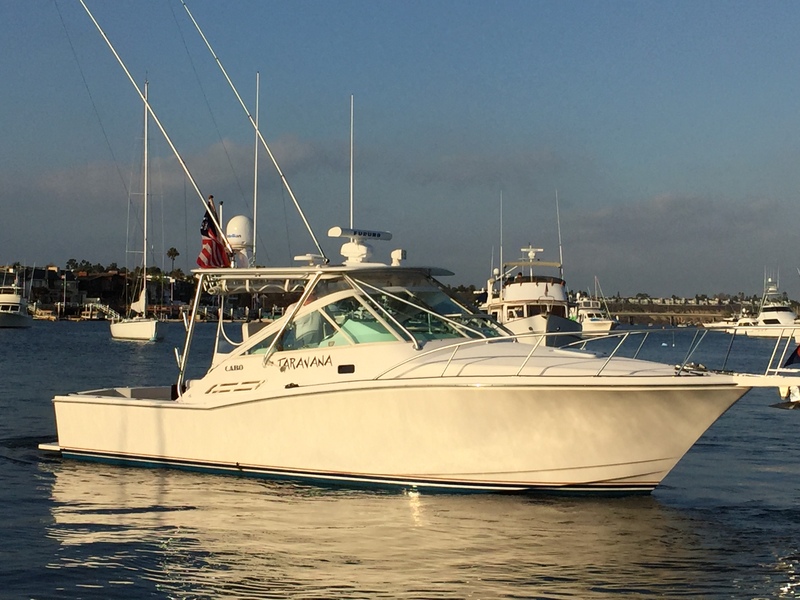 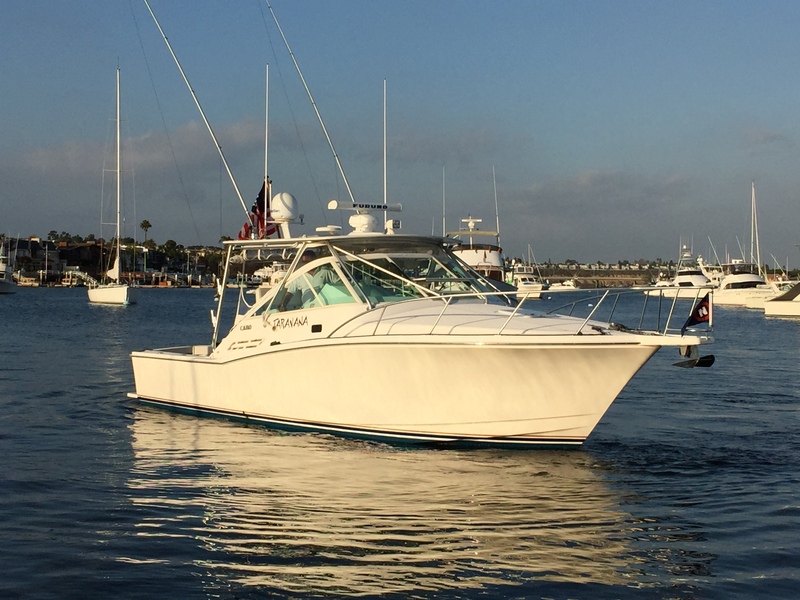 The rear deck area provides ample space for a day of sports fishing while trolling along with the outriggers in the ready position with your lines waiting for the big strike! 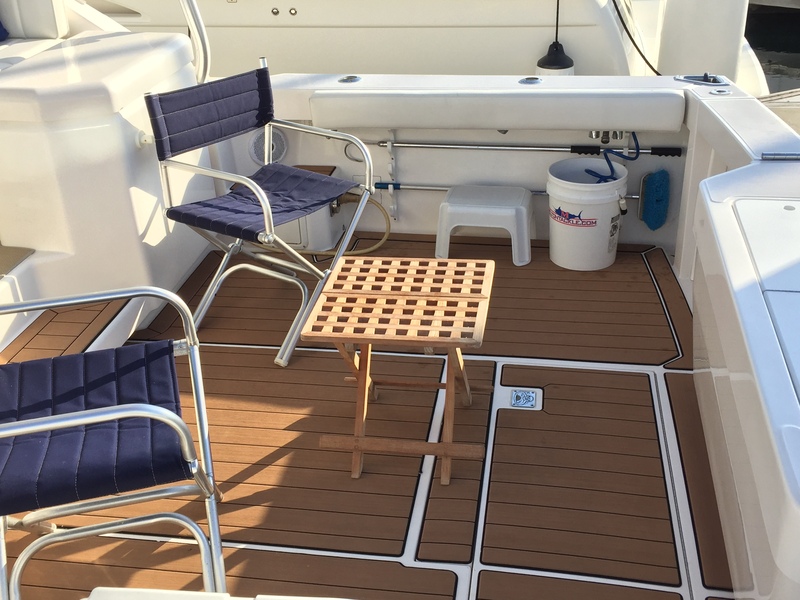 Or the rear deck easily accommodates deck chairs and a table to entertain your guests while cruising or anchored off your favorite island. 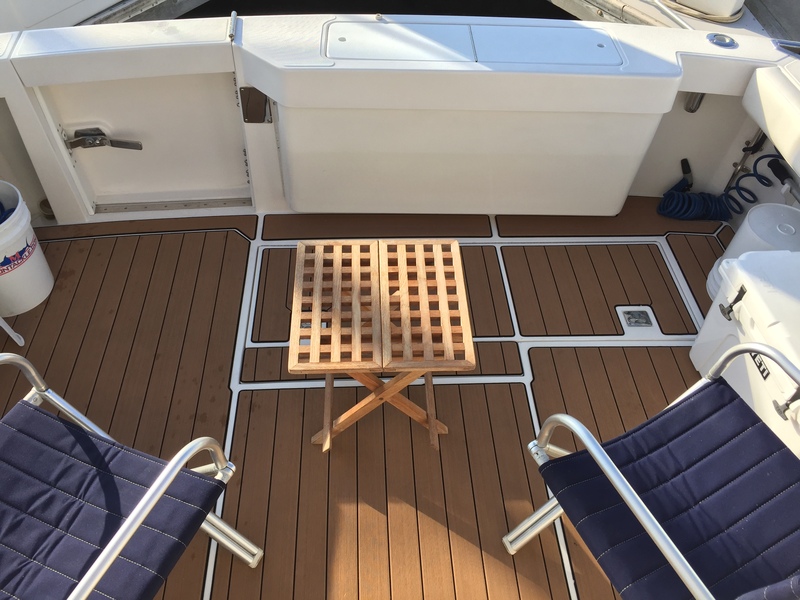 You will also find that all the bolsters in the rear deck area are new this past season and look amazing. 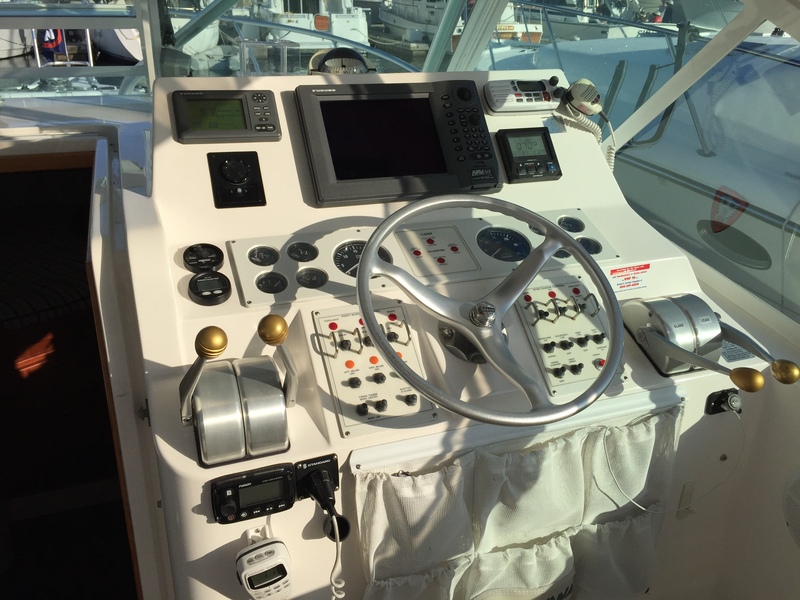 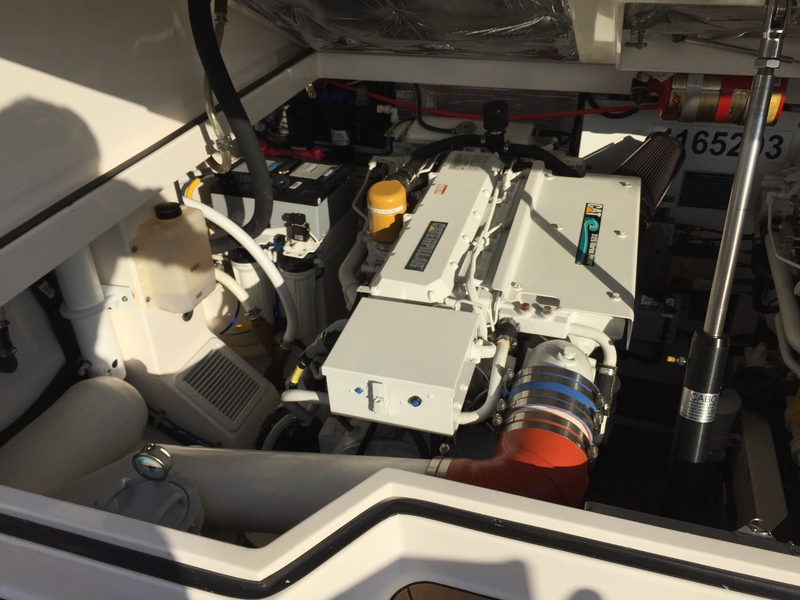 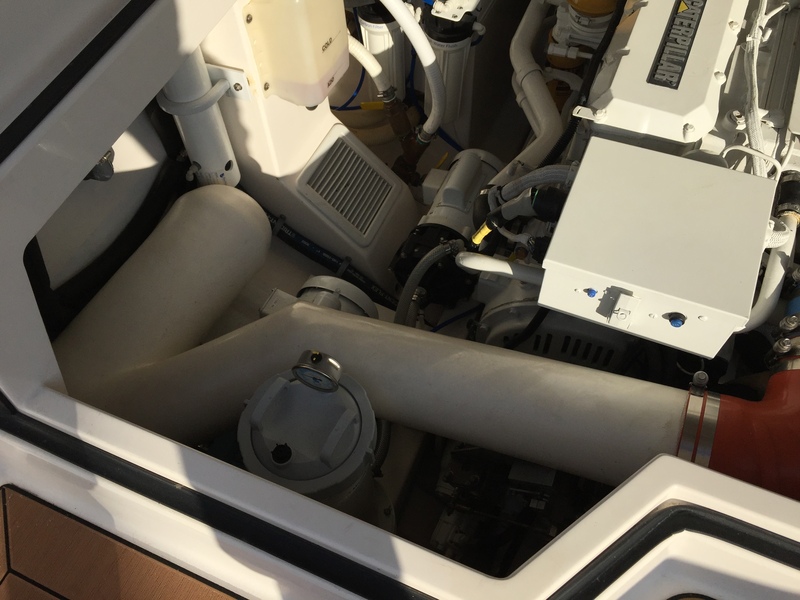 Moving forward the helm area is located on the starboard side midship with the comfort of a 360-degree visibility and a navigation and control arrangement that provides easy access and viewing. 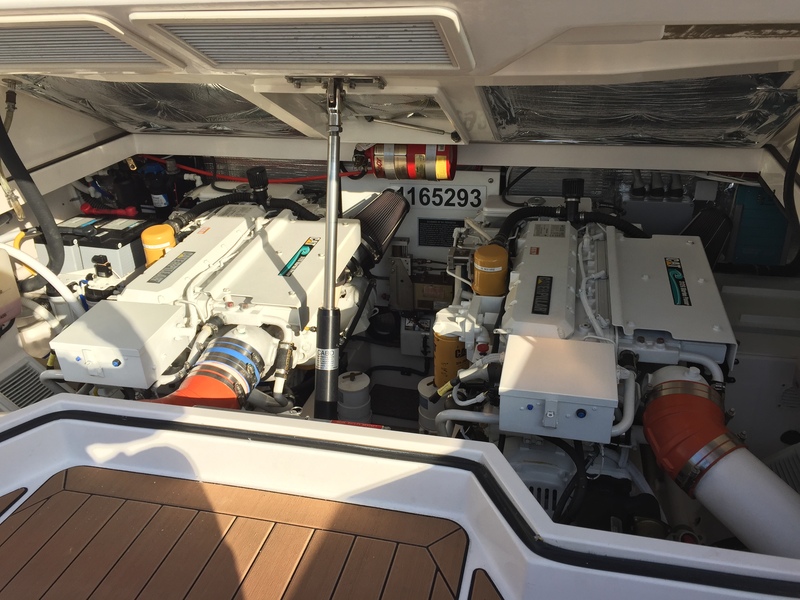 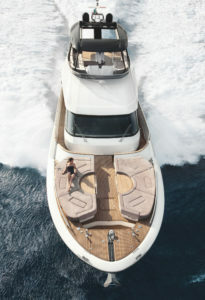 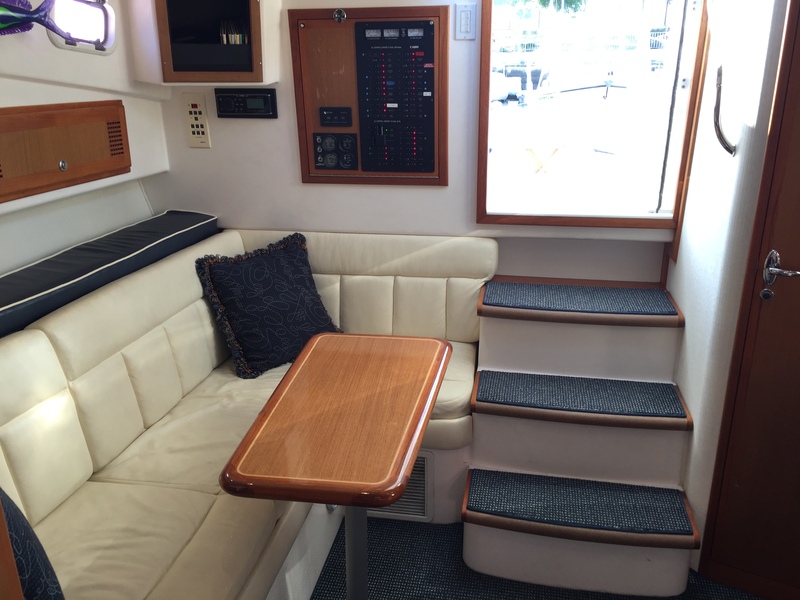 Going below deck, you find yourself surrounded by plenty of space and amenities that this boat offers. 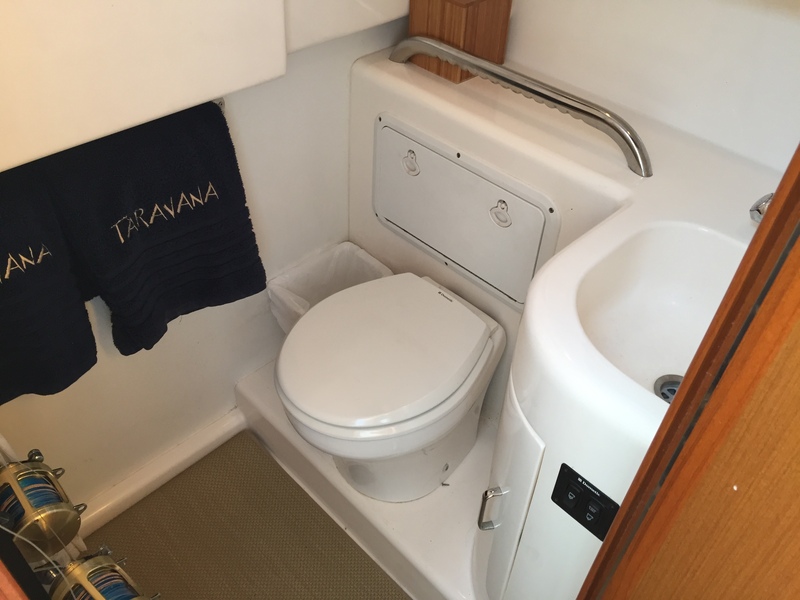 The head and sink vanity is located on the port side as you descend the stairs. 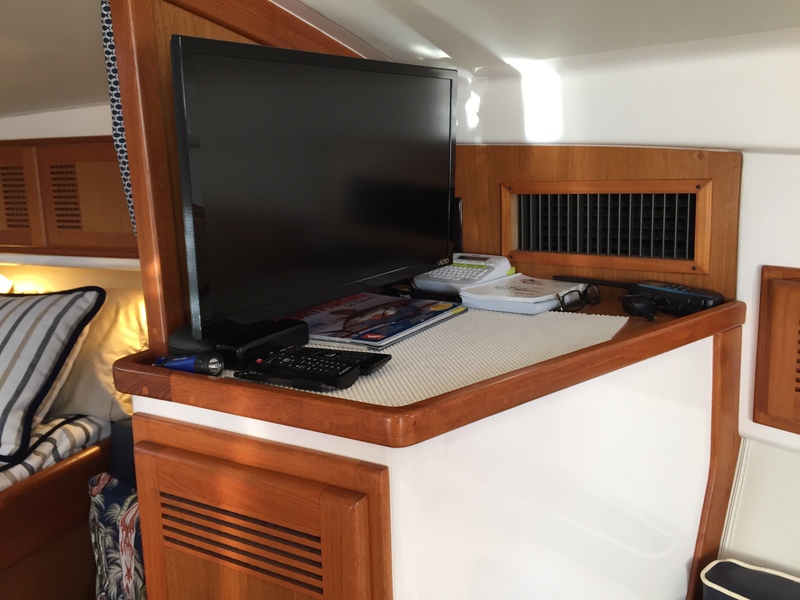 Forward along the port side, you find the galley area with a refrigerator/freeze built in and plenty of counter space with a microwave oven built in above the counter. 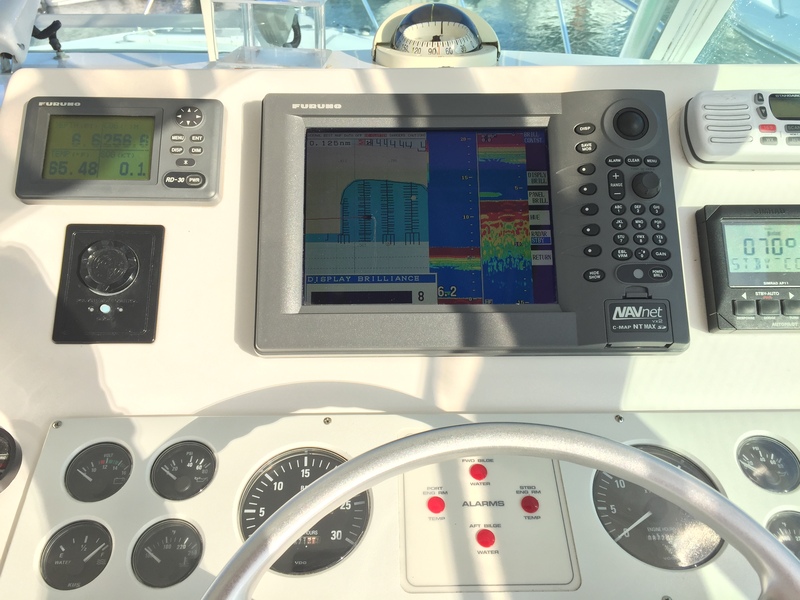 On the starboard side, you find the electrical panel with ease of accessibility and visibility. 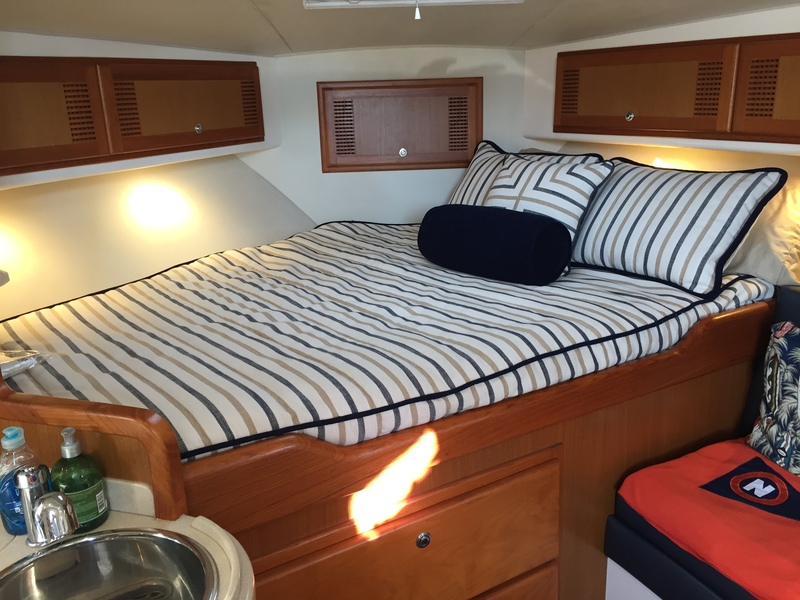 The seating and sleeping areas are very ample, well designed, comfortable and are in excellent condition. 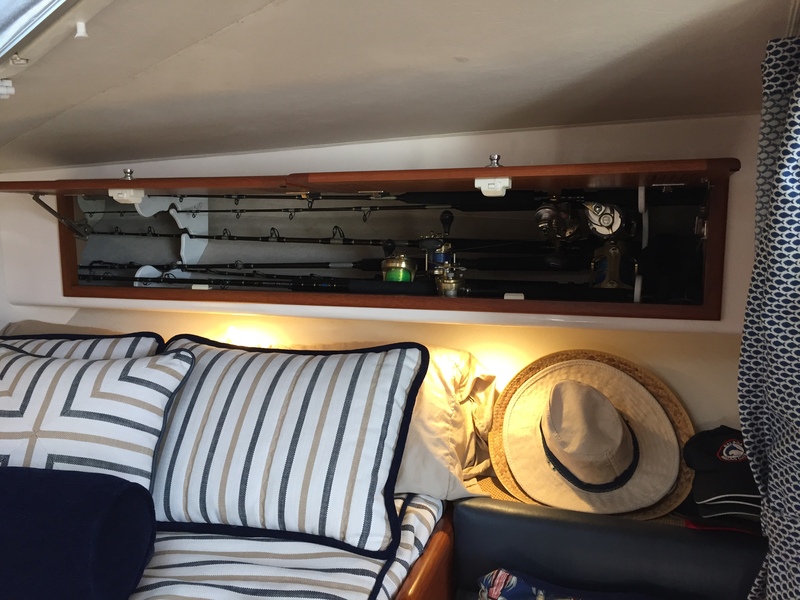 Cabinet and closet space is well thought out and provides ample storage.